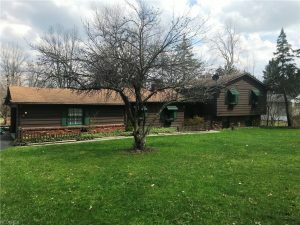 Looking for a charming custom 2280 square foot house with 3 bedrooms 2 baths and a 2 car attached garage on a one acre lot in Chesterland? Look no further! This house is the definition of custom! The first thing you notice is the amazing kitchen when you enter the home. With stainless steel appliances, glassed cabinetry, granite counter tops, and ceramic tiled floors it couldnt be done in better taste! The upstairs has 3 bedrooms and 2 full bathrooms. The bedrooms are very large and the master bedroom has a master bath that was just remodeled. The landscaping of the back yard is also amazing with a courtyard patio and serpentine walled tiered garden you will not fail to impress any guest! To see more highlight and right click……..